For most of the season, there’s been no place like home for the Washington Wizards. And that’s not because they play exceptionally well at the Phone Booth, but once they leave it, well, they can't win. But this morning that streak of futility is over, even if it was against the worst team in the league. The Wizards are officially 1-25 on the road after crushing the Cavaliers 115-110 Sunday night. It was an impressive showing, as the Wizards refused to relinquish the lead from start to finish. And it was the youngest members of the young team who really showed off. Rookie John Wall had 19 points and 14 assists on the night. 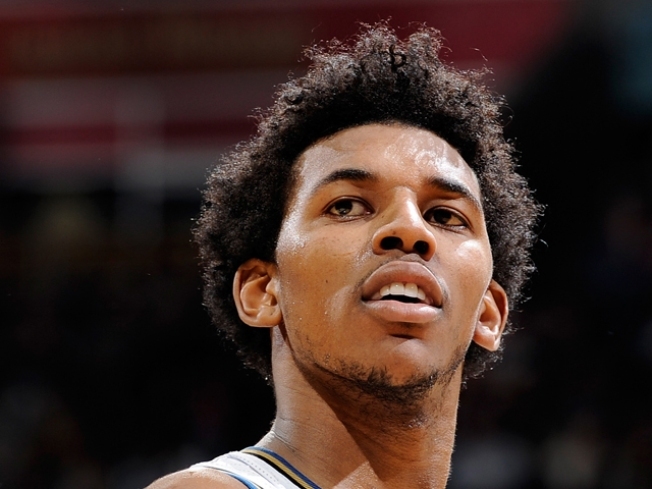 But even more impressive was the 31-point effort from Nick Young, who seemed unable to miss. The 25-game winless streak on the road is just four short of the NBA record held by the 1992-93 Dallas Mavericks. And the Wizards might have broken that record had they lost this game. The Cavs just snapped out of a 26-game losing streak and have lost 37 of their last 39 games. A loss to a team that far in a rut could have been devastating to a team’s morale. It wasn’t like the Wizards were feeling great in the first place. They had just been blown out by the San Antonio Spurs at home, 118-94 on Saturday. It was the beginning that set the tone for Washington’s first road win. The team went 9 of 11 from the field and opened up a 17-point lead in the first. By the end of the first half, the Wizards led by 22 and put up 68 points, the most of any first half this year. The only blunder was a missed dunk by Wall on a breakaway. And his teammates let him know it. Despite the miscue, it was an impressive return to winning ways on the road for the Wizards. And they will have to keep up the fight if they want the road to bring more happy memories. Next up is another face-off against Gilbert Arenas and the Orlando Magic.